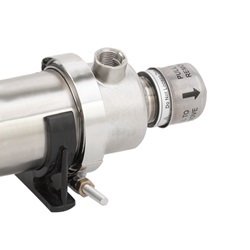 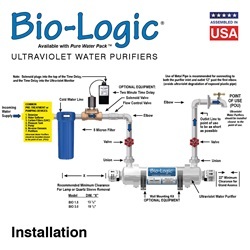 The Bio-Logic® line is economical, compact and versatile. 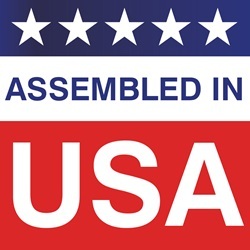 The unique feature on this unit - the feature that makes it different from many others being sold - is the rotatable heads. 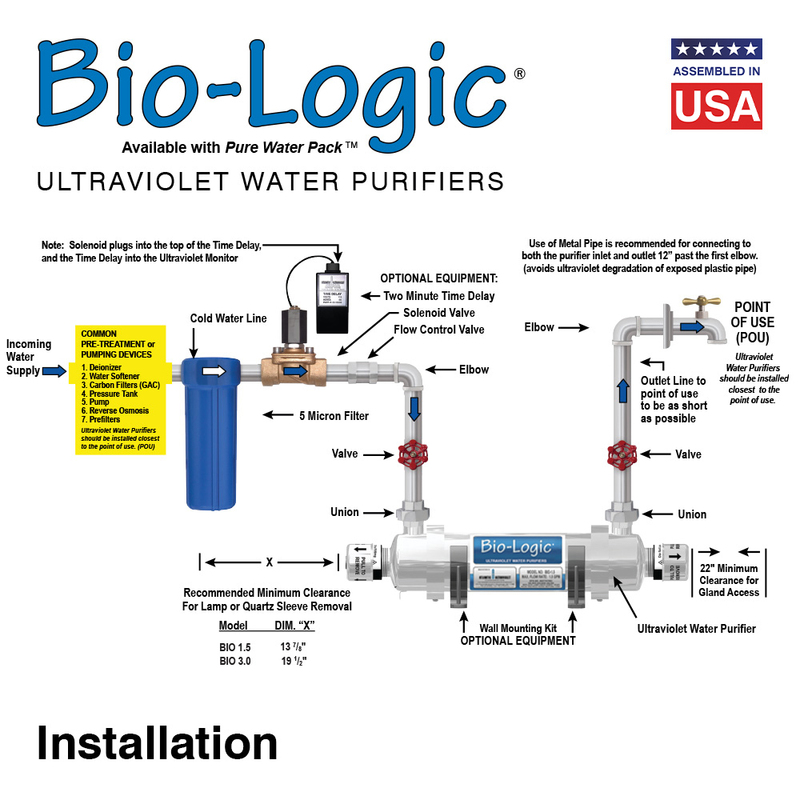 The flexibility of being able to rotate the head on either side of the chamber to match the existing water connection streamlines installation resulting in savings of time and money. 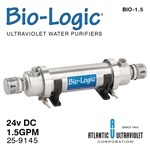 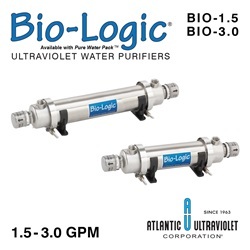 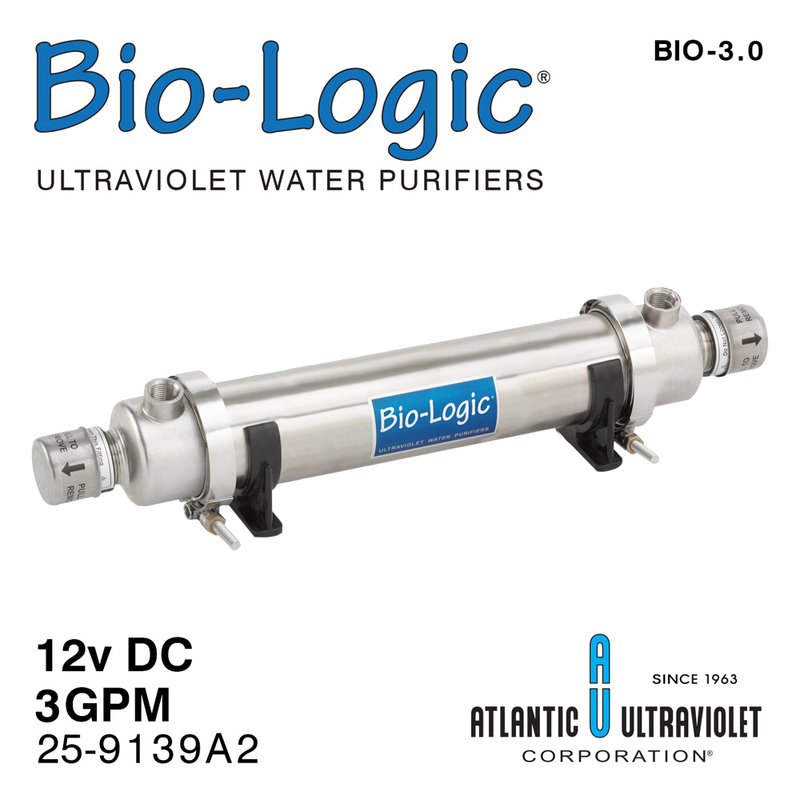 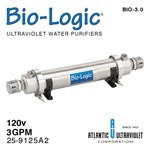 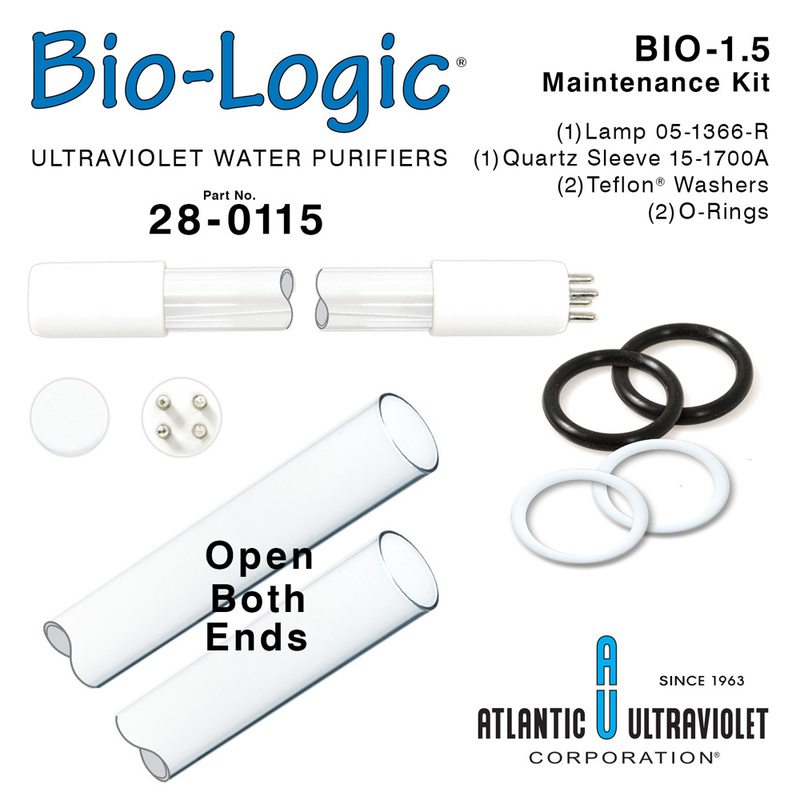 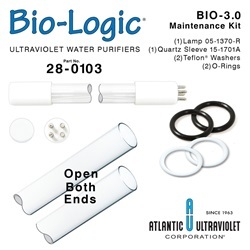 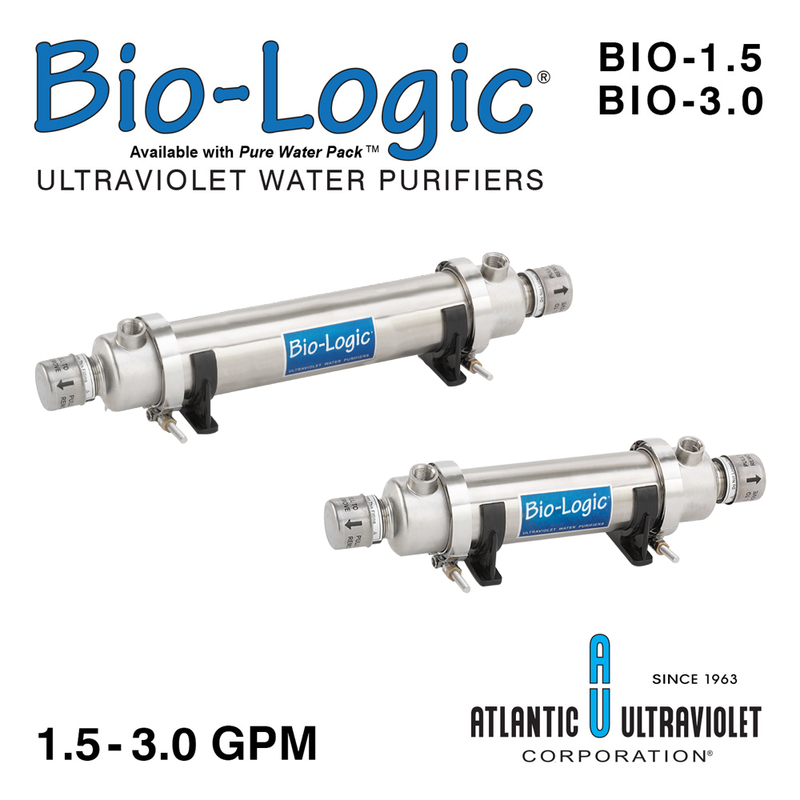 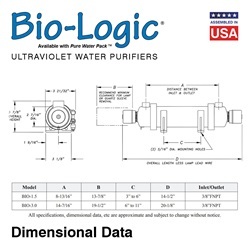 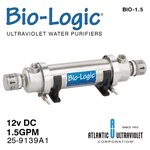 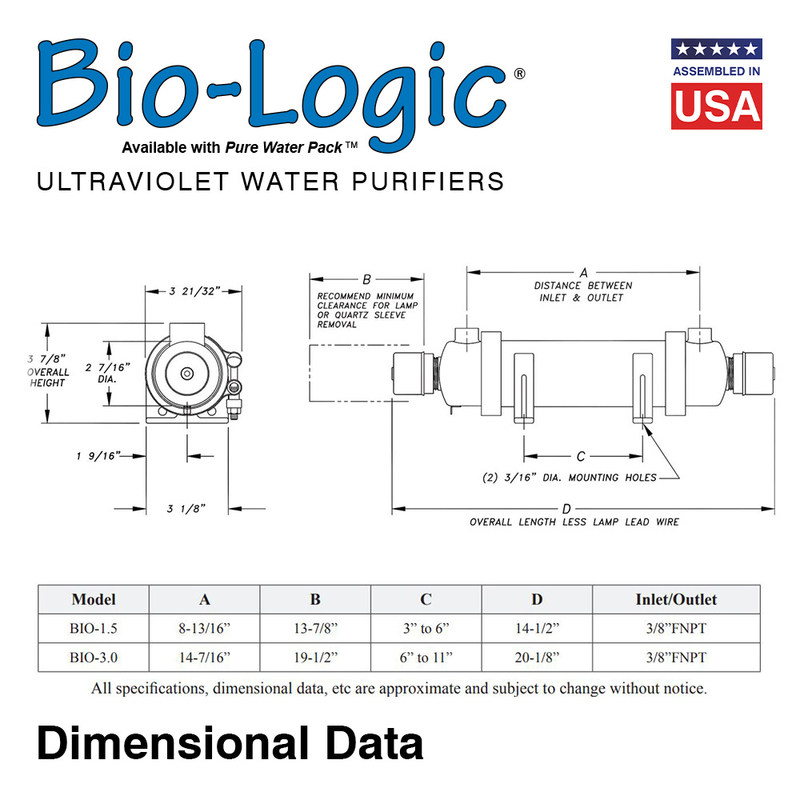 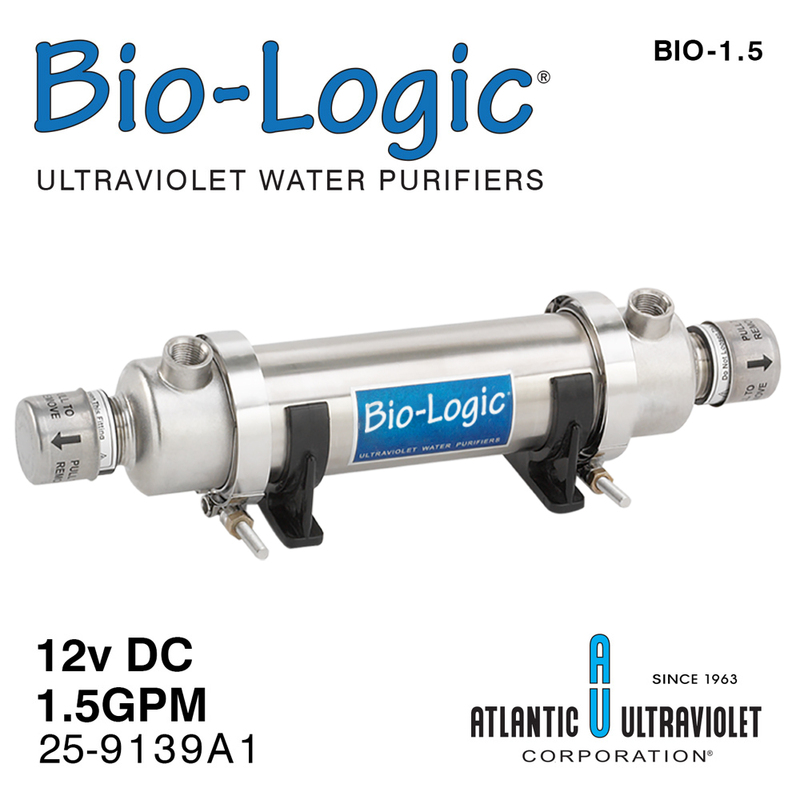 Bio-Logic® units are available as stand alone water purifiers (BIO-1.5 or BIO-3.0) or as a combination water purifier and dual filter system (Bio-Logic® Pure Water Pack™). 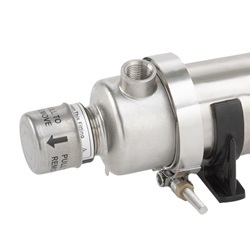 These units are designed for point of use installations (under sink) and can also be used to treat water in aquariums, boats, campers, etc. 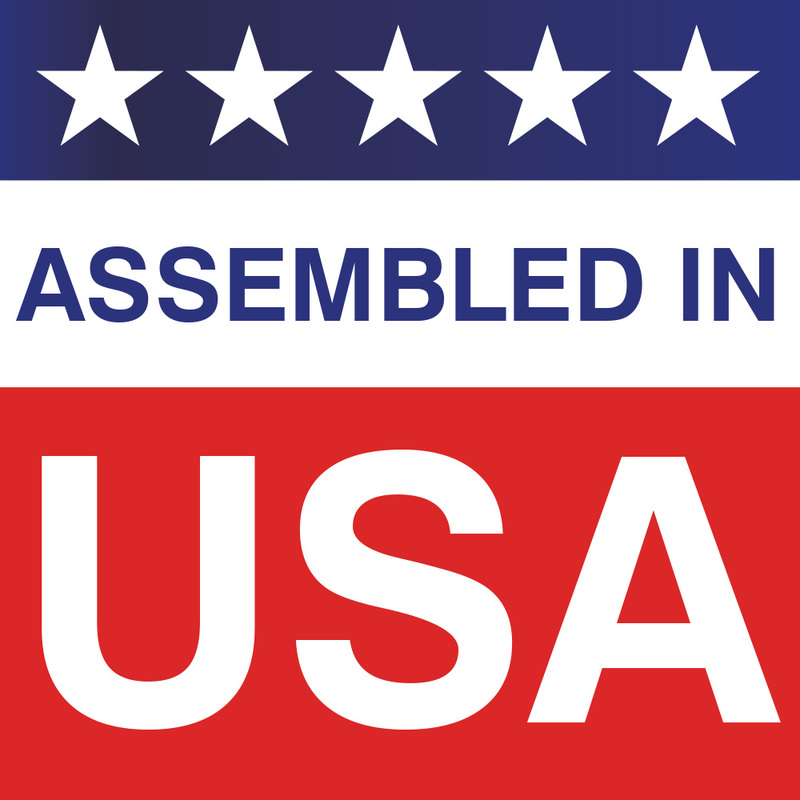 *Maintenance Kits contain one Germicidal Ultraviolet Replacement Lamp, a Quartz Sleeve, 2 O-Rings and 2 Teflon® Washers. 120 1.5 3/8" NPT 16.5W 3.375" 14.25" 3.6875"
220 1.5 3/8" NPT 16.5W 3.375" 14.25" 3.6875"
12vDC 1.5 3/8" NPT 16.5W 3.375" 14.25" 3.6875"
24vDC 1.5 3/8" NPT 16.5W 3.375" 14.25" 3.6875"
120 3 3/8" NPT 25W 3.875" 20.125" 3.6875"
220 3 3/8" NPT 25W 3.875" 20.125" 3.6875"
12vDC 3 3/8" NPT 25W 3.875" 20.125" 3.6875"
24vDC 3 3/8" NPT 25W 3.875" 20.125" 3.6875"